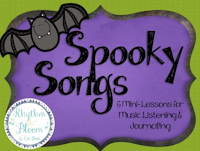 Today, I'm blogging about ten tricks or treats for the music room...ten ways to integrate Halloween into your music lessons while engaging your students and improving their musicianship! She lived down by the old graveyard, ooo-ooo-ooo-ooo! One night she thought she'd take a walk, ooo-ooo-ooo-ooo! She walked down by the old graveyard, ooo-ooo-ooo-ooo! 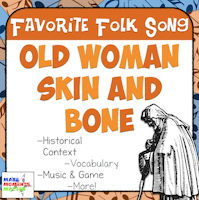 She saw some bones a layin' around, ooo-ooo-ooo-ooo! She went to the closet to get a broom, ooo-ooo-ooo-ooo! I learned a great game from my former colleague Jenna that my students love: students lay on the ground with their eyes closed. As you sing, tap two students, who then go and hide! 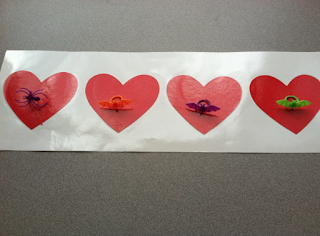 The rest of the students have to figure out who is missing. I love all of David's favorite folk song sets...they are such a great way to bring a song to life! 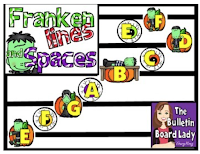 Amy also has these fun beat strips to practice rhythm during Halloween! 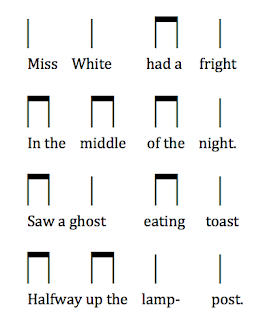 Check out this freebie by Emily F to practice ta and ti-ti (please note that her version starts with "Missus" instead of "Miss," so there is a ti-ti at the beginning. 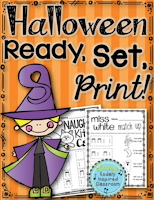 If you've ever bought any of Linda McPherson's games, you know how fun they are...and how much kids love them! 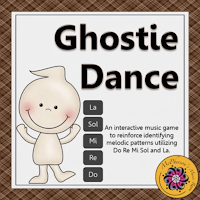 This ghostie dance game is such a great way to practice and assess re! 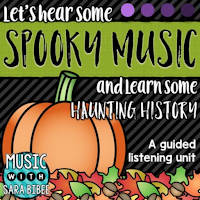 A great way to integrate Halloween into your music lessons is to play freeze dance to some ghoulish music, like "Monster Mash," "Thriller," or "In the Hall of the Mountain King"! 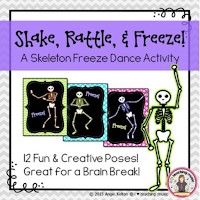 This file by I Heart Teaching Music is such a fun way to play freeze dance with your favorite piece of Halloween music! 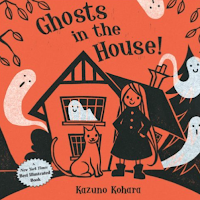 As I read the book, I have students make their voices go high and low with their voices, like the ghosts, and also have them yell "Boo" in their head voices. 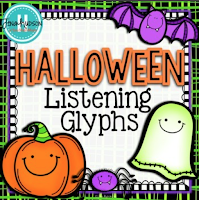 Check out this blog post for more ideas for vocal exploration during Halloween. Many years, I've created an entire lesson plan for each grade level revolving around Halloween. For example, with 1st grade, we can do "Miss White," explore our voices like ghosts, read "Ghosts in the House," keep the beat to "In the hall of the mountain king," and more! 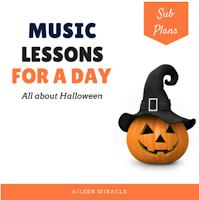 If you're looking for lesson plans that are already created, check out this set, which could work for any music teacher or for a sub! 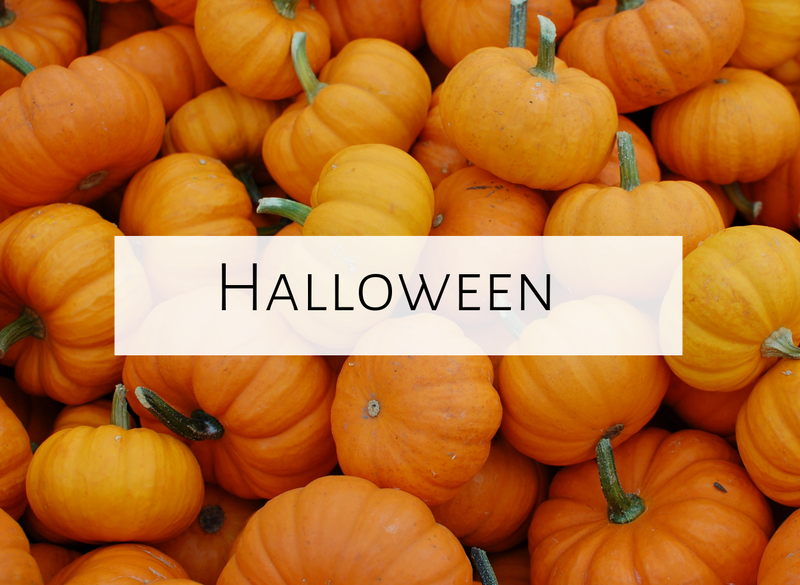 What are your favorite songs and activities for Halloween? 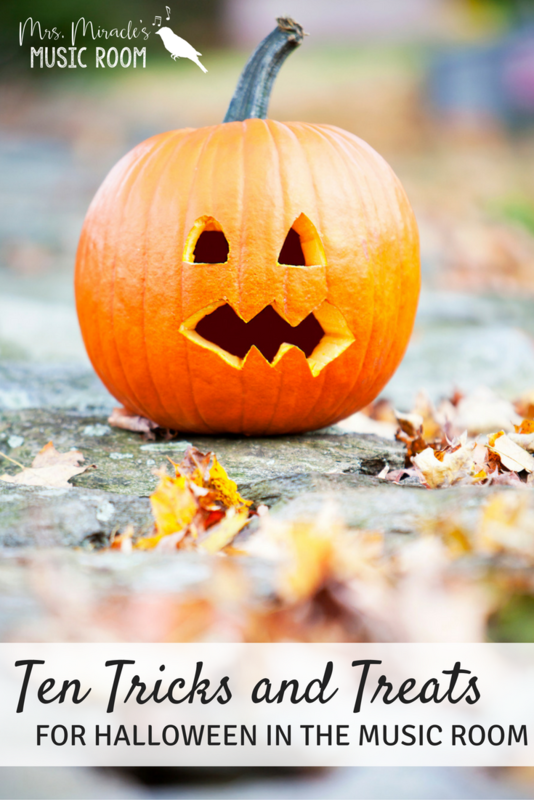 Feel free to comment below, and happy teaching!